One of my favorite rifles is a Weatherby Mark V in .300 Weatherby Magnum. It was a gift from my family for my 30th birthday (thank God it hasn’t rusted away yet). Over the years, I have only put a few hundred rounds down range with it and have only had the opportunity to hunt with it on a handful of occasions. The reason it has so few rounds through it is that it used to kick like a mule. That’s not an exaggeration, it literally kicked significantly harder than the M107 Barrett .50 cal I had the occasion to fire while deployed to Afghanistan. 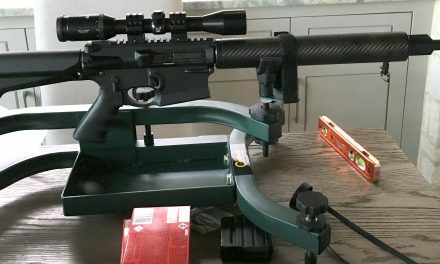 About a year ago, I put a compensator on the rifle and it has made it down right pleasant to shoot, feeling no rougher then a .308 as far as felt recoil goes. When I first received the rifle, it had a walnut stock and was wearing a Swarovski Habicht Nova 3-9x scope (yes, my family really loves me). That scope has been one of the very best all around light gathering optics I have ever owned. 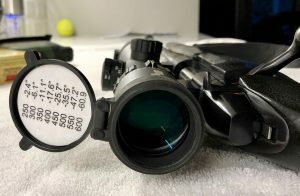 That said, I sent the scope back to Swarovski Optik last summer as the zoom ring had stopped working and needed to be fixed. That left my Mark V without a scope and I had an impending elk hunt (first time ever, plus I got to go with my uncle). 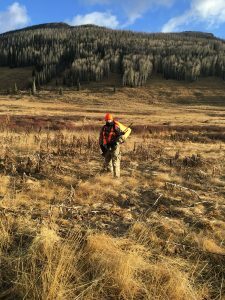 Since I had not previously elk hunted, I kicked my gearfinder genes into high gear, attempting to single-handedly clean out all of the nearby sporting goods stores and a couple of the larger online outlets. 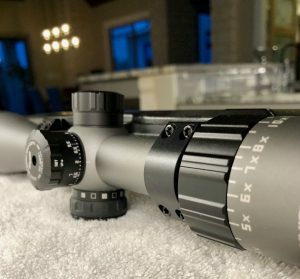 A new scope for the Weatherby was in order. I spent numerous nights in bed surfing the internet, reading reviews about various scopes, and talking to hunting buddies. 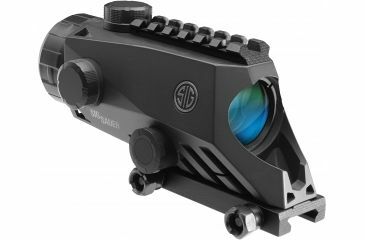 Ultimately, price became the biggest variable so I chose an Sig Sauer Whiskey 3 4-12x40mm with the Hellfire Quadplex illuminated reticle, mounted with some Warne ultralight rings. I will do a separate blog about the Whiskey 3, but it turns out that I chose very well and I’m extremely happy with the scope. which I highly recommend, and a Precision Armament M4-72 Severe Duty Compensator, which I also can whole-heartedly recommend. 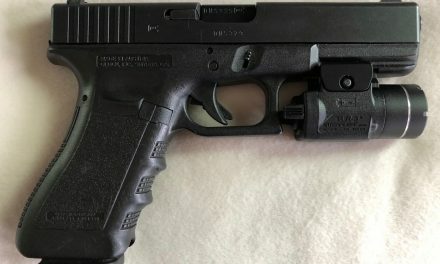 I installed the compensator myself, complete with ordering the dye set and threading the barrel. It was extremely nerve wracking and I’m sure I turned a ten minute job into a one hour job, but the results are nothing short of spectacular. 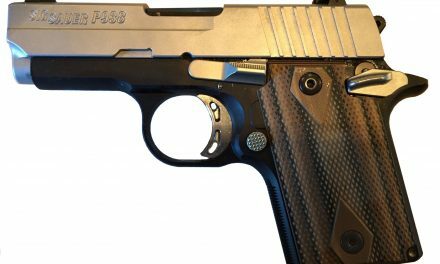 Sig Sauer was offering a free custom ballistic turret (CBT) with the Whiskey 3 I purchased, so that was the last piece of the puzzle for the Weatherby. All I needed to do was provide Sig with the ballistics for the specific round I wanted. The CBT didn’t arrive in time for my hunt, but it did arrive a couple of months later and looks really promising. My interim fix for the CBT was to go old school with the dope and tape it inside of some Butler Creek caps. The walkout weight for my Weatherby, loaded, was just a touch over 13 pounds. I carried it up and down several thousand feet over the course of a five day elk hunt in Colorado. For those who haven’t toted this much weight in rough terrain, 13 pounds in a helluva lot. I have already started working on a lighter rifle to carry on the next elk hunt and my goal is under ten pounds, fully loaded.